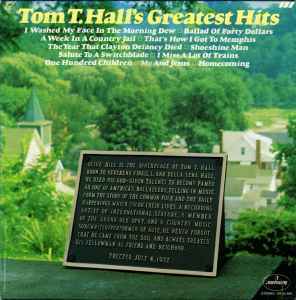 TOM T. HALL: GREATEST HITS: 1972: 4 STARS OUT OF 5 STARS: A fine collection of songs by The Storyteller. Again docked a star due to better and bigger collections of Best of’s out there now. The Year That Clayton Delaney Died his most famous song is here- and my favorite Tom T song “That’s How I Got To Memphis.” Hall hasn’t released an album now in over 20 years- his final album Home Grown was outstanding- maybe he wanted to finish his career on a great note. BOB WELCH:FRENCH KISS: 1977: 3 1/2 STARS OUT OF 5 STARS: The Fleetwood Mac effect- Welch was out of Fleetwood Mac before Buckingham and Nicks joined and wasn’t part of their huge success but the members of Fleetwood Mac are all over this- Buckingham and Christine McVie produced the hit Sentimental Lady-and along with Mick Fleetwood played on the song. A good pop music album from the time- Sentimental Lady reached #8, Ebony Eyes #14 and a third single Hot Love, Cold World #31. JIM CROCE: I GOT A NAME: 1973: 4 STARS OUT OF 5 STARS: Croce’s last album-released months after his tragic death in a plane crash at the age of 30. The album went to #2 on the album charts and there were three Top 40 hits- I Got A Name, I’ll Have To Say I Love You In A Song and Workin’ At The Car Wash Blues. A very likeable singer- songwriter who seemed to draw from his life experiences for a lot of his songs.- it would have been interesting to see how his career would have went. I don’t think he would have been remembered as a ‘few hits’ wonder. JOHN COUGAR MELLENCAMP: UH-HUH: 1983: 5 STARS OUT OF 5 STARS: Other than the Jack And Diane single I didn’t much care of Johnny Cougar. Not a fan at all- then this album came out and i heard Pink Houses. I bought the album- and I really liked the album. It was his 7th album. I have heard some of the earlier albums and I am still not a fan of them but what happened with him was it the taking of his real name? Anyhow- there were three Top 20 singles on this album- Pink Houses, Authority Song and Crumblin’ Down and a number of fine album cuts- Jackie O, Play Guitar, Serious Business among my favorites. Mellencamp wouldn’t be in say my Top 25 artists list but I am a fan. JOE JACKSON: JUMPIN’ JIVE: 1981: 5 STARS OUT OF 5 STARS: This is a fun album which always puts me in a good mood. Joe Jackson’s 4th album and one at the time I didn’t see coming- kind of like Elvis Costello’s Almost Blue album of country covers. Here Jackson does covers of of 1940’s swing and jump blues songs. Jackson was a decade and a half before the retro-swing revival of the mid 1990’s. ELVIS PRESLEY: FROM ELVIS IN MEMPHIS: 1969: 5 STARS OUT OF 5 STARS: Elvis was in the middle of his late 60’s comeback at this point. Recorded after the 1968 Christmas special. 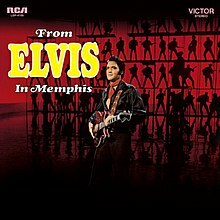 Recorded in Memphis at American Sound Studio, produced by Chips Moman and backed by the Memphis Boys it was Elvis return to non-soundtrack albums. Elvis had made a wise decision in going again Col. Parker and his mindless movie /soundtracks and going with better songs and a strong band behind him. In The Ghetto was a big hit #3- and one of his better later day songs. A great white soul album- one of Elvis’s best. American Sound Studio by the way is here Dusty Springfield recorded her classic “Dusty In Memphis” album. 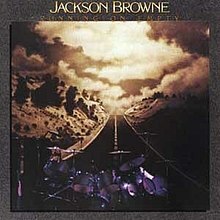 JACKSON BROWNE: RUNNING ON EMPTY: 1978: 5 STARS OUT OF 5 STARS: An album recorded on the road- about life on the road. Running On Empty is my favorite Jackson Browne song by far- and the album is my favorite of his and was hit most successful commercially. Favorites- The Load Out, the cover of Maurice Williams Stay, The Road, You Love The Thunder. I like to take the cd of this album to play when I am on a long vacation traveling across the country. Even after so many years ‘Ebony Eyes’ by Bob Welch is still one of my all-time favourite songs. The clip is pretty out-there as well.